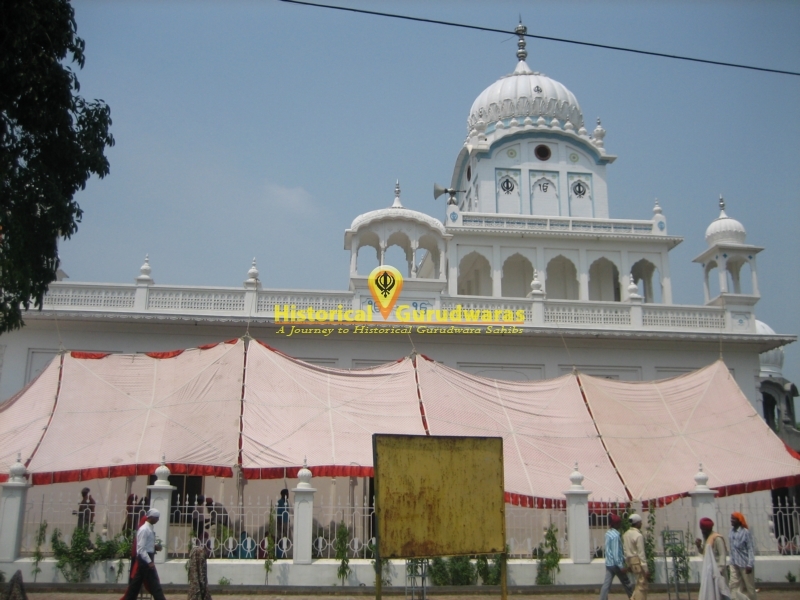 GURUDWARA SHRI GANGSAR SAHIB is situated int the Kartapur City of Jalandhar Distt. 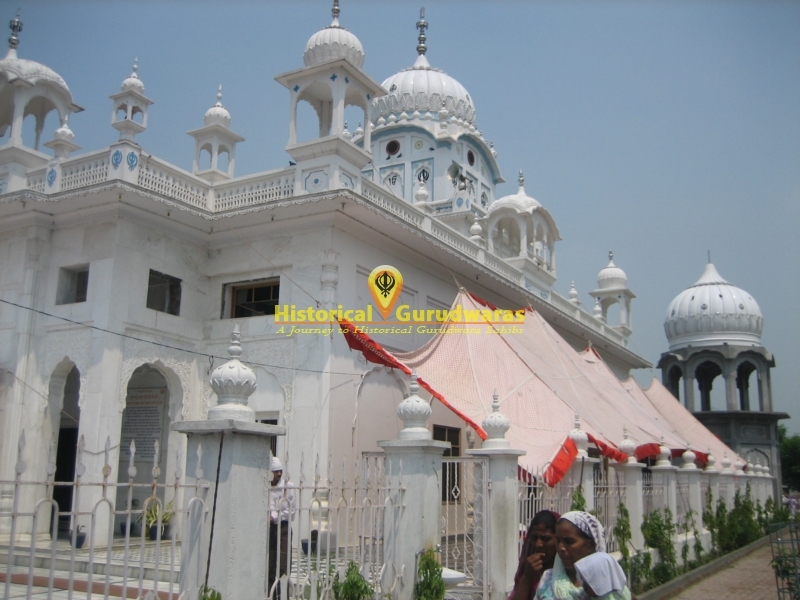 This holy place has been built in remembrance of the 5th Guru - SHRI GURU ARJUN DEV JI & the 6th Guru- SHRI GURU HARGOBIND SAHIB JI. 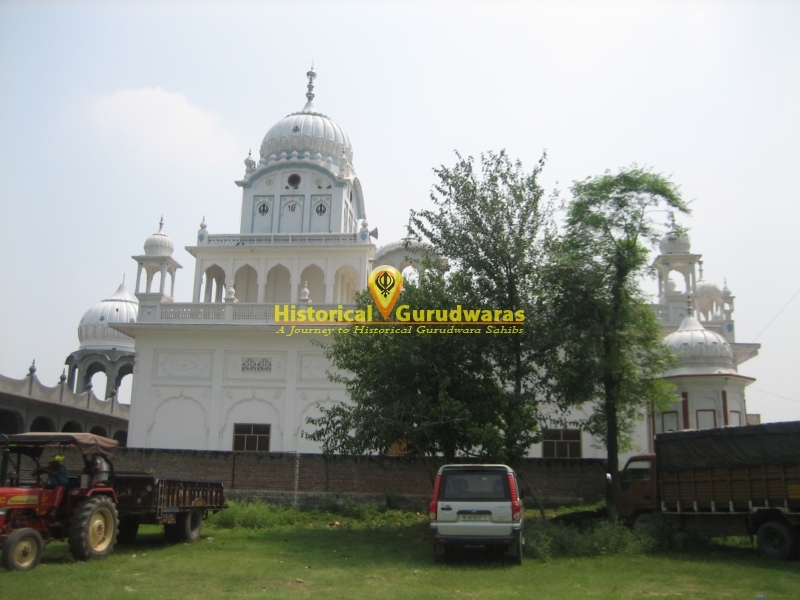 By developing Kartarpur town & keeping in mind the need of water for the local people, in the year 1656, SHRI GURU ARJAN DEV JI got a well dug up. 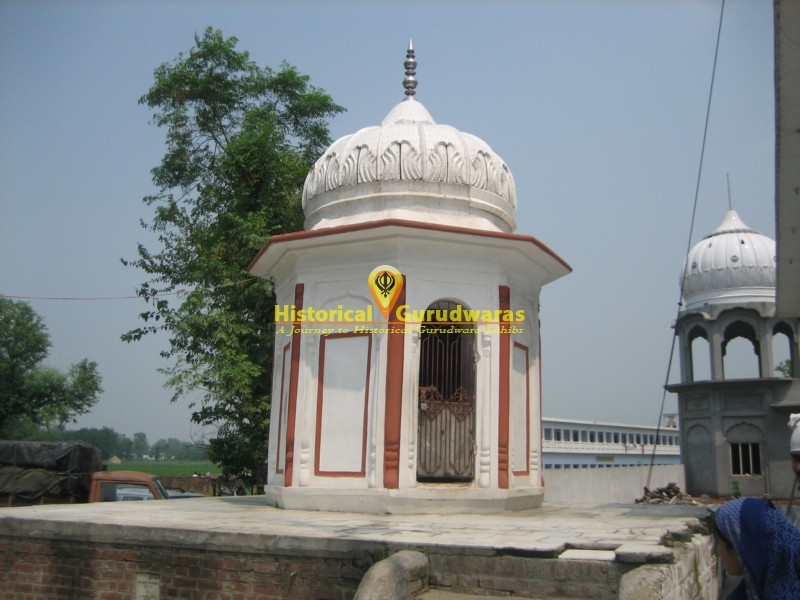 At this place only, GURU SAHIB with the help of his follower Bhai Vaisakhi Ram made an Urn appear from the well which had fallen into the river Ganga & cleared the superstition in people\"s mind about bathing in Ganga. 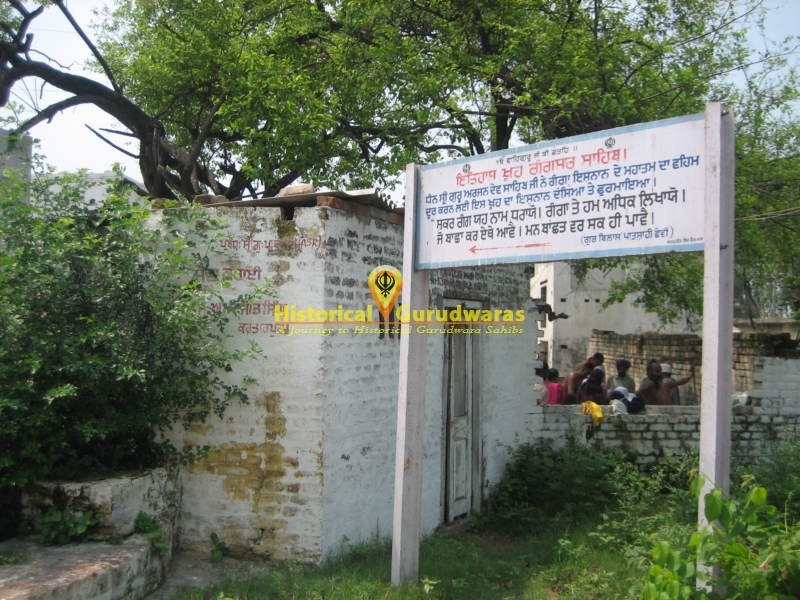 Due to this reason only, the well was named \" Gangsar \". 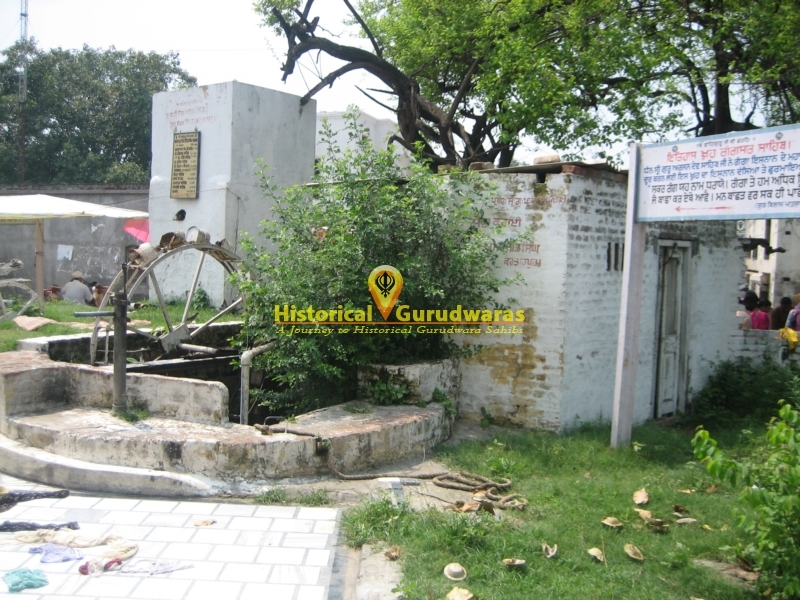 GURU SAHIB, after giving different boons to this well, said whichever human being takes a bath with the water taken from this well, will get rid of all his physical & mental problems. 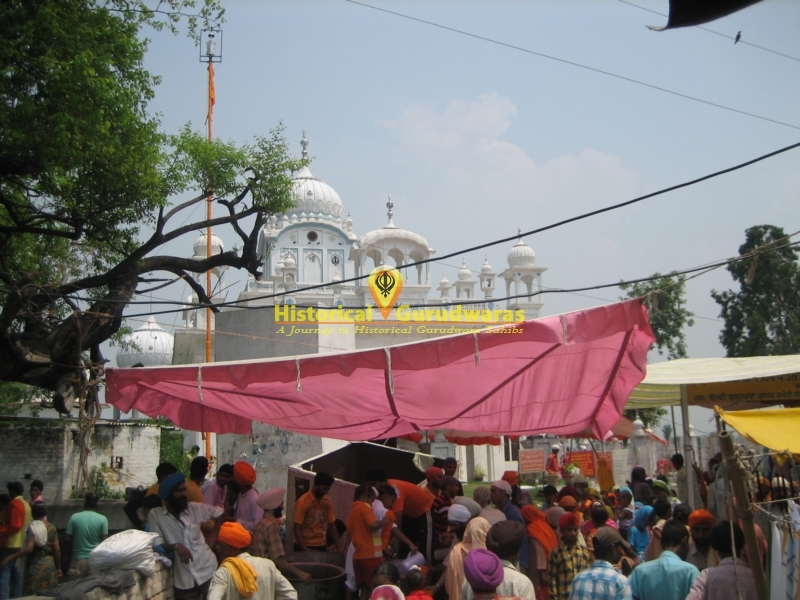 Close to the well where GURU SAHIB used to sit, that place has been named \" SHRI MANJI SAHIB \". 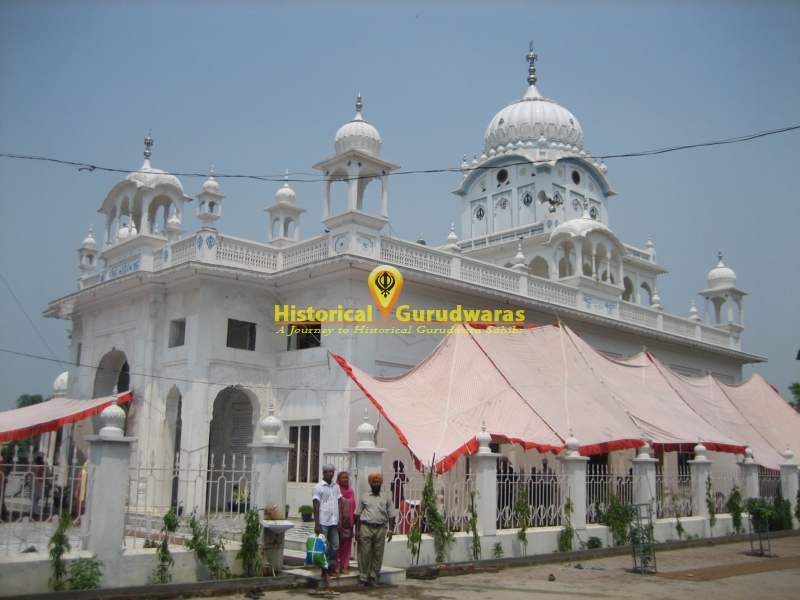 The 6th Guru - SHRI GURU HARGOBIND SAHIB JI also used to sit here & offer religious prayers to the followers. 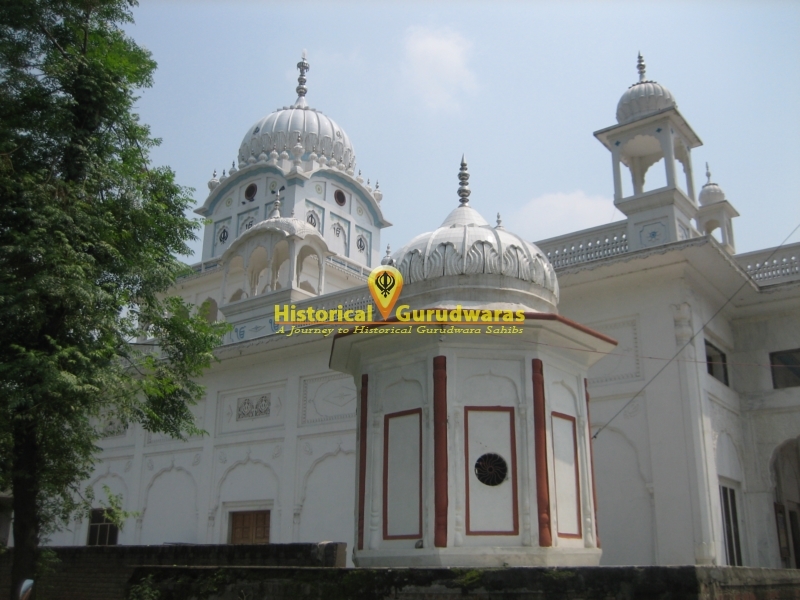 At this place only, GURU HARGOBIND SAHIB JI fought the fourth battle against the Muslims for their atrocities & won the battle. 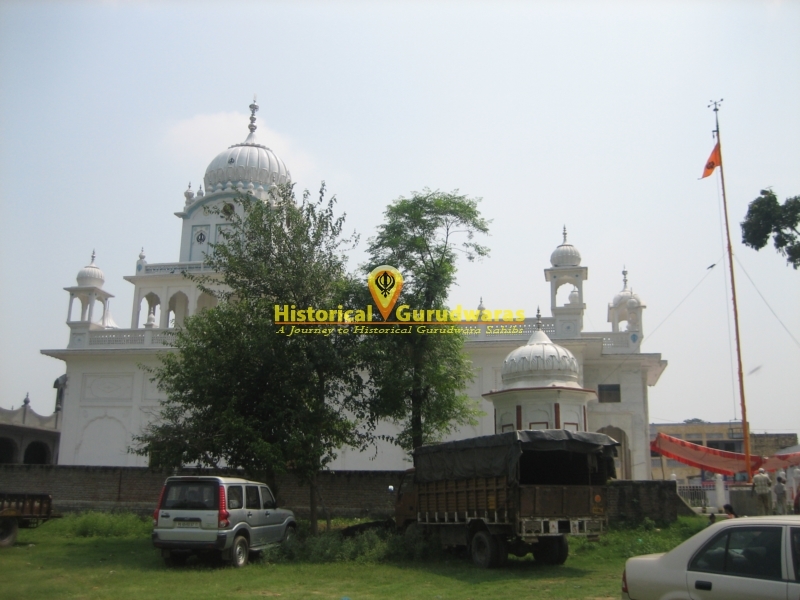 It was here only that GURU HARGOBIND SAHIB JI killed his private general Painde Khan. 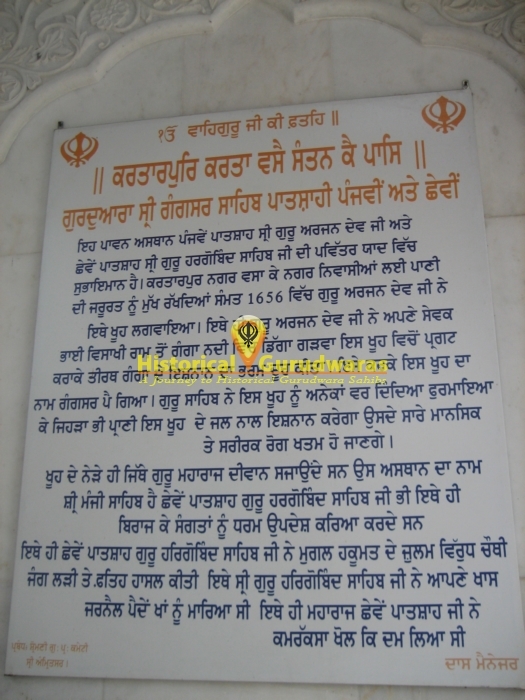 At this place only , the 6th GURU SAHIB took off his waist pad & took rest.